« Renewable energy hearing on Feb. 28, NOT Jan. 29. San Bernardino County Code Enforcement officers will increase enforcement of illegal trucking operations in the unincorporated area of Bloomington to mitigate environmental hazards and public nuisances in residential areas. There are more than 100 properties in Bloomington where the number of illegal operations involving truck storage, warehousing hazardous materials on properties, and unpermitted businesses is significantly higher than any other unincorporated area of the County. The Board of Supervisors allocated $400,000 in the 2018-19 County budget to address unpermitted truck operations in Bloomington which will allow a Code Enforcement officer to work on the issue full time. In residential zones of Bloomington, only one tractor-trailer is allowed to be parked as long as the truck and trailer belongs to the owner-operator and is parked in an appropriate area on at least one acre of land. 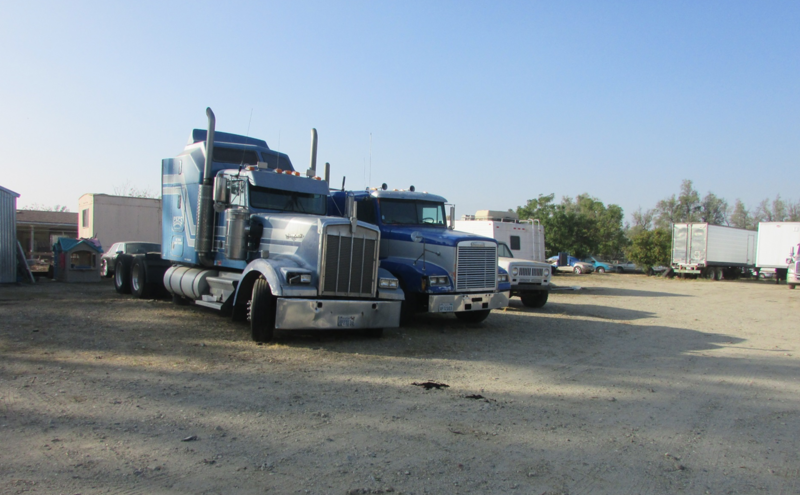 Code Enforcement currently has several open cases on suspected illegal trucking operations where as many as 20 tractor-trailers are located on one property in a residential zone. A significant number are next to schools. Illegal trucking operations negatively impact air and groundwater quality and increase odor, exposure to hazardous materials and the unsafe operation of trucks on neighborhood streets. About 2,400 students attend Bloomington High School on Laurel Avenue, a street that has one lane of traffic going each way and several illegal trucking operations in the immediate area. Often right in front of the school, trucks on the narrow street must sit and wait for the oncoming lane to clear of traffic before they can make the left turn from Laurel. This is particularly a problem at crowded school arrival and dismissal times, according to Principal Sandy Torres. A majority of the illegal operations are in areas zoned for single-family residences and must be relocated. A small number of the illegal operations could come into compliance if the owners who are in an appropriate zone applied for a permit to operate or applied for a zone change with Land Use Services. The County is providing assistance for illegal trucking operators who want to come into compliance and/or relocate their business with the help of a commercial broker. For relocation resources, contact Matthew Mena at the Economic Development Agency at (909) 387-4552. People who need assistance with land use and zoning may contact Ignacio Nunez at Code Enforcement at (909) 948-5086. I Ron. Hill would like to comply to park my truck here. I have been here for over 20 yrs. And my business is agriculture and the property is zoned for agriculture ??? Hi Ron, call Ignacio Nunez at Code Enforcement at (909) 948-5086 and he can talk to you about whether you are in compliance.